A recent online article jointly written by two anti-GMO activist groups and posted on the Moms Across America website claimed that a “study” that it financed found traces of glyphosate, the active ingredient in the herbicide Roundup in human breast milk. Specifically, the activist authors—Zen Honeycutt of Moms Across American and Henry Rowlands of Sustainable Pulse—claimed that three of 10 breast milk samples they sent for analysis tested positive for glyphosate, a product widely used for weed control for over 30 years with a well documented safety record for humans of all ages as well as the environment. As a result of this finding the authors hypothesized that glyphosate accumulates in the body, raising concerns about the safety of glyphosate and therefore indirectly the safety of breast milk. In the following analysis I address the safety of glyphosate and the conclusions of this particular report from my perspective as a pediatrician and nutrition scientist. Glyphosate controls weed growth by interfering with the metabolism of plants; it has no effect on the metabolism of humans and animals and therefore has a very strong safety profile, documented over the past 40 years and confirmed by multiple independent international agencies. Human exposure to glyphosate most often occurs from the very minute amounts that remain on food that is consumed. 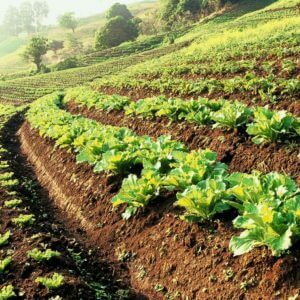 Because it is among the safest agents used to control weed growth the US Environmental Protection Agency has set an Allowable Daily Intake (ADI) of 1750 micrograms (ug) of glyphosate for every kilogram (kg) of body weight. The current daily intake of glyphosate by individuals in the US is estimated, based on food intake data and assuming all foods carry maximal allowable residues, at about 13% of the ADI (or 230 ug per kg of body weight) from residues in or on foods. This is a maximum-case estimate. Tests for glyphosate in samples of urine suggest the typical dietary intake is well below 1% of the ADI or less than 17.5 ug per kg of body weight. Glyphosate that is ingested is mostly passed unchanged in the stool. About one third is absorbed into the body and is promptly removed into the urine. Glyphosate does not accumulate in the body or in breast milk based on its chemical properties. No harm has been associated with the typical amount of glyphosate that passes into the body and then out in the urine. In the recent report from Moms Across America, the levels of glyphosate detected in 3 of 10 samples of breast milk, if accurate (they still must be confirmed by using an assay validated for breast milk), suggest that a breastfeeding infant might be exposed to about 1/50th of the Allowable Daily Intake and do not support any risk, either to the mother or infant. Conclusion: Mothers should be encouraged to breastfeed their infants. Even if the results of the recent report are backed up by future research, there is no significant risk to infant health, and the benefits of breastfeeding far outweigh any theoretical risks. Glyphosate acts on a specific pathway in the metabolism plants. This pathway does not occur in animals (including humans), and thus glyphosate itself has very limited toxicity for humans or animals. While there are many allegations about glyphosate safety to be found on the Internet, including allegations about cancer, endocrine disruption, and birth defects, these allegations largely emerge from misinterpretation of limited scientific studies, often times performed under test conditions that have no relevance to human exposure. Glyphosate now has a 30+ year history of safe use and has been the subject of repeated independent regulatory assessments. It should be reassuring that glyphosate is now undergoing re-evaluation in the European Union and that the German Agency for Risk Assessment (Bundesinstitut fur Risikobewertung, or BfR) has now issued its draft assessment of glyphosate safety following a thorough review of publications, which include many of these allegations. BfR concludes, “the available data do not show carcinogenic or mutagenic properties of glyphosate nor that glyphosate is toxic to fertility, reproduction or embryonal/fetal development in laboratory animals.” References regarding glyphosate safety are provided at the end of this discussion. What does it mean when a chemical is found in body fluids? There is an extensive body of knowledge about glyphosate that helps us to understand the meaning of recent reports of glyphosate in breast milk. Here are background reports from the CDC, the National Institutes of Health, the World Health Organization and the American Academy of Pediatrics. How are safe levels of intake for glyphosate determined? The US EPA looks at all available long-term animal studies for herbicides (and other pesticides) to determine an Allowable Daily Intake (ADI). In the case of glyphosate, because there are multiple manufacturers, there are now six independent sets of animal studies. The agency takes the highest dose tested in the various animal species, which produces no effect (the highest tested non-toxic dose) and uses this to set an ADI by applying a 100 fold safety factor. This means that the allowable daily intake is set at 100 times less than a dose which produces no effect, in the most sensitive animal species tested. The US ADI is 1750 micrograms (ug) of glyphosate for every kilogram (kg = 2.2 pounds) of body weight. Do these intake limits apply to infants and children? Yes. The limit is intended to apply to males and females at all ages. The large body of data on this issue includes reproductive and multi-generational studies in animals. How close to the ADI limit is the typical US intake of glyphosate? If we assume that all of the foods we consume contains the maximum allowable amount of glyphosate for that particular crop or food, and calculate a maximum estimate of glyphosate intake, the highest level of intake (adjusted for weight) occurs in young children (children eat a lot per pound of body weight to support growth and energy needs). The current maximum intake of glyphosate by individuals in the US is estimated to be about 13% of the ADI, about seven-and-a-half times less than the ADI. This is an over-estimate of exposure. More refined estimates can be developed based on actual residue levels, but this is not usually performed when conservative estimates provide good assurance that excessive intake is not occurring. Another approach to determining glyphosate intake takes advantage of the fact that glyphosate is not broken down or metabolized in the body. Absorbed glyphosate is promptly eliminated in the urine and thus the absorbed glyphosate dose can be measured directly by looking at glyphosate in urine. Based on animal data, about 1/3 of ingested glyphosate is absorbed (the rest comes out in the stool). Therefore a 15 kg (35 lb) toddler taking in 13% of the ADI would have a urine value of 1000 micrograms per liter or greater (this calculation assumes 1 liter of urine per day, about 3 times the minimal urine output expected). 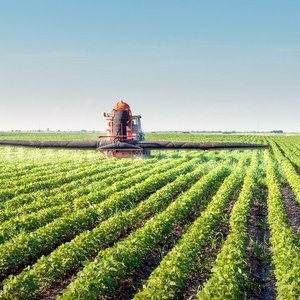 Urine levels of glyphosate have been measured in several studies, including studies supported by industry (Farm Family Exposure Study) and studies by non-governmental independent organizations. Many individuals have no detectable glyphosate in urine at a detection limit of 1 microgram per liter, and if found, levels in non-farmers are typically in the 1-3 microgram per liter range. The available data from Moms Across America indicates the highest level in the urine from the mothers that were tested as 7.5 micrograms per liter (as of April 17, 2014)- so it seems that these individuals have urine values in the range of 1 (or less) to 10 micrograms per liter. This is 100 to 1000 times LESS than you would expect based on current intake estimates. While the estimates of urine value at 13% of ADI are only approximate, these urine data suggest that intakes of glyphosate are far below the ADI. How can glyphosate get into blood, urine, and breast milk? For most people on any given day, glyphosate exposure is primarily in the form of food residues following use to control weeds on or around crops. Although we wash fruits and vegetables before cooking or eating them, a small amount of glyphosate may remain as a residue in foods, including seeds and grains (wheat, soybean). The residual glyphosate can be absorbed from the diet, circulate briefly in the blood, and is rapidly eliminated by the kidney like many other waste products- natural or otherwise, without causing any known ill effects. Glyphosate readily dissolves in water (and not in fat) and is a small molecule, so it can enter into breast milk and other body fluids. Individuals using glyphosate products during planting or farming, or using consumer glyphosate products on the lawn or in the garden can also get exposed during the application process and may have additional exposure to glyphosate via skin or incidental ingestion (touching the face and mouth while using the product). The levels in the blood and urine of these individuals may be higher than seen in the general population with exclusively dietary intake. But, urine samples from adult and teen farmers involved in glyphosate application, (Farm Family Study) indicate that even these users have exposures within the Allowable Daily Intake. Does glyphosate bio-accumulate in humans? No. The Moms Across America website suggests that their data support bioaccumulation of glyphosate. Bioaccumulation is a phenomenon in which chemicals that dissolve in fat build up in the body over an extended period of time. We know from extensive studies that glyphosate is water soluble, not fat soluble, does not accumulate and is not stored in body fat, and is readily excreted in urine. The Moms Across America data indicate the presence of glyphosate in urine samples and in some breast milk samples, but do not demonstrate that glyphosate accumulates in the body over time. Is glyphosate concentrated in breast milk? This issue has not been studied in detail for glyphosate in human milk. We do know that glyphosate does not concentrate in cow’s milk and that glyphosate does not have the characteristics of substances that accumulate in milk. Materials that concentrate in breast milk (have higher milk concentrations than blood concentrations) are generally fat soluble and accumulate in milk-fat within breast milk. The Moms Across America data may have demonstrated glyphosate in breast milk (see discussion below), but very importantly there was no comparison of breast milk and blood concentrations of glyphosate in the same individual. Thus, no statement can be made from these data about glyphosate concentrating or accumulating in breast milk. What else is in breast milk? Are the reported levels in urine and breast milk correct? The Moms Across America data report breast milk levels using an assay designed for water. However, no data standardizing this assay for breast milk have been published. In the assay used to generate the MAA data, milk is diluted down by 100-fold and measured using the assumption that it is essentially water. Urine levels are obtained using a 10-fold dilution and using the water assay. The accuracy of the test in breast milk remains unclear and, because of the dilution, levels of glyphosate below 75 ug/L cannot be detected by this assay method. Given what we know about usual urine levels in individuals in the US, which are between 1 and 10 ug/L if detected at all, the reported breast milk values do not make sense. Glyphosate is eliminated in urine and, like most wastes, is concentrated in the urine. Blood levels and breast milk levels should therefore be less than urine levels on average. As discussed above, glyphosate should not concentrate in breast milk. This means that typical breast milk levels should be close to blood levels and less than urine levels- but this is not what Moms Across America found- three of ten samples had levels above the detection limit of 75 ug/L, with the highest value of 165 ug/l and all three levels were above those levels reported in the mothers’ urine samples. Something seems to be wrong with the data. There are two possibilities. This assay has not been used for breast milk in the past and therefore the analytical method may be in error, either because it is not properly calibrated or because of some interfering factors, as there are many things present in breast milk (chemicals, vitamins, medications, etc.). Another possibility is that the breast milk samples with detectable glyphosate (over 75 ug/L) reflect exposures much larger than the typical exposure to glyphosate in the general population. Without any knowledge of how the samples were obtained and under what circumstances, we cannot speculate on the analytical accuracy. However, the mere fact that the breast milk levels seem highly irregular in comparison to existing urine data should have prompted the laboratory to confirm analytical results using a better, validated method. Are breast milk levels of glyphosate “high”? The Moms Across America information suggests that glyphosate levels are “high—but it defines “high” as anything above the limit of detection. Stated another way: anything they can measure is “high”. This is faulty reasoning of course; the limit of detection is determined by how samples are processed and what type of analysis is performed and is determined by laboratory procedures, not by safety considerations. Twenty years ago, we would not have been able to detect glyphosate levels in anyone, but laboratory methods have improved tremendously. Continued improvements will result in assays that are capable of detecting even lower levels of glyphosate. The proper question is whether breast milk levels result in glyphosate intake above the ADI in the nursing infant. Even the highest value reported by Moms Across America results in infant exposure well below the ADI and also does not suggest that the mother is above the ADI. The Moms Across America document also compares breast milk levels to the European drinking water standard “for glyphosate”—put in quotes because there is no standard for glyphosate in particular. Rather, the EU set a non-risk-based limit of 0.1 ug/L for all herbicides (and pesticides) in drinking water. Again, this level is independent of any risk assessment concerns and therefore this level is not useful in assessing whether intakes are safe or unsafe. How do the reported levels compare to levels expected at safe levels of intake? A mother consuming glyphosate in the diet at 100% of the ADI (assuming 50 kg weight and 1/3 of glyphosate absorbed) should be excreting almost 30 milligrams- or 30,000 micrograms of glyphosate in urine per day—about 15,000 ug/L, assuming normal urine output. As noted, most people have no detectable glyphosate in urine. For those with detectable levels in the range of 1-10 ug/L, this is 1500 to 15,000 times LESS than expected from intake at the ADI. Urinary levels suggest maternal intakes well within acceptable limits. If one assumes that the breast milk values are correct, even the highest value (165 ug/L) would not raise concerns regarding maternal exposure given that breast milk concentrations should be similar to blood concentrations. Even if urine levels are 10-times more concentrated than breast milk or blood, maternal intake is still estimated to be well below the ADI. What does this mean for the health of an infant? The highest reported concentration of glyphosate in the 3 breast milk samples (165 ug/L) does not appear to be representative of what may actually be found in breast milk and may be incorrect for analytical reasons. However, even if taken at face value, this would still result in infant intakes well below the ADI. (A 5 Kg or 11-pound infant will take in roughly one liter per day of breast milk, or 165 ug per day. This would be 33 ug per kilogram of body weight per day versus an ADI of 1750 ug per kilogram per day. The intake of glyphosate, even at the highest reported breast milk level, is well below levels that would raise health concerns. No- based on the low level of exposure relative to the ADI, there is no significant risk to infant health as a result of glyphosate in breast milk. The American Academy of Pediatrics4 and the Centers for Disease Control5 agree that breastfeeding is the optimal way of feeding infants and that the benefits of breastfeeding clearly outweigh the risks of environmental chemicals found to date in breast milk, except in highly unusual exposure circumstances. What can mothers do to minimize exposure? / Should they alter their diet or other practices? There does not appear to be any need to reduce dietary exposure to glyphosate based on existing data. If you wish to reduce residue intake for glyphosate and other pesticides, choosing to eat an organic diet may help to reduce glyphosate intake and reduce breast milk levels. The health benefits/risk reduction resulting from this would appear to be minimal. For users of the product containing glyphosate, follow all label directions. While all users in the Farm Family Exposure Study had acceptable levels of exposure, the use of rubber gloves is an effective means to limit exposure to the product (glyphosate is not volatile, so most applicator exposure comes from skin and incidental hand-to mouth contact). 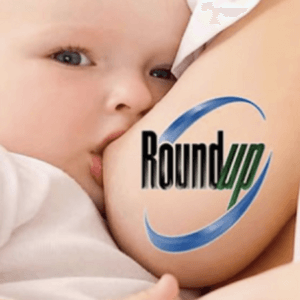 If mothers are breastfeeding, should they have their breast milk tested for glyphosate? 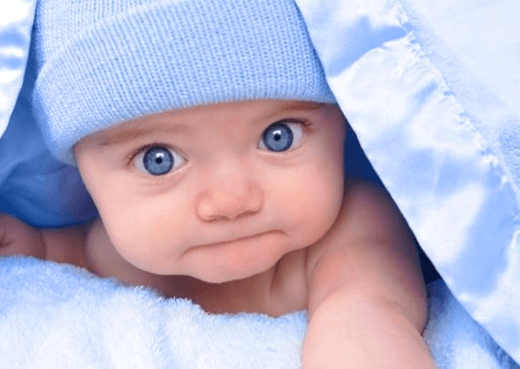 Pending validation of the breast milk assay, and given that current reported levels do not raise a health concern, there is no need to test breast milk. Should children be tested for glyphosate? By all exposure estimates, children are well below the ADI for glyphosate intake. Actual urine values are limited- but in the farm family exposure study, urine glyphosate was undetectable in farm children (exception- teenagers who assisted in application), i.e. below 1 ug/L. Urine testing of children for glyphosate would seem highly unlikely to document any exposure of possible concern and thus is not recommended. Dr. Ron Kleinman is the physician in chief, MassGeneral Hospital for Children, Chair of the Department of Pediatrics at the Massachusetts General Hospital and the Charles Wilder Professor Pediatrics at Harvard Medical School.